LUSTER (5068) forming higher high & higher low. Immediate resistance @ RM0.145 level. 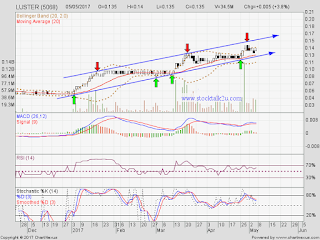 Subsequent resistance @ RM0.19 level. Immediate support @ RM0.13 level. 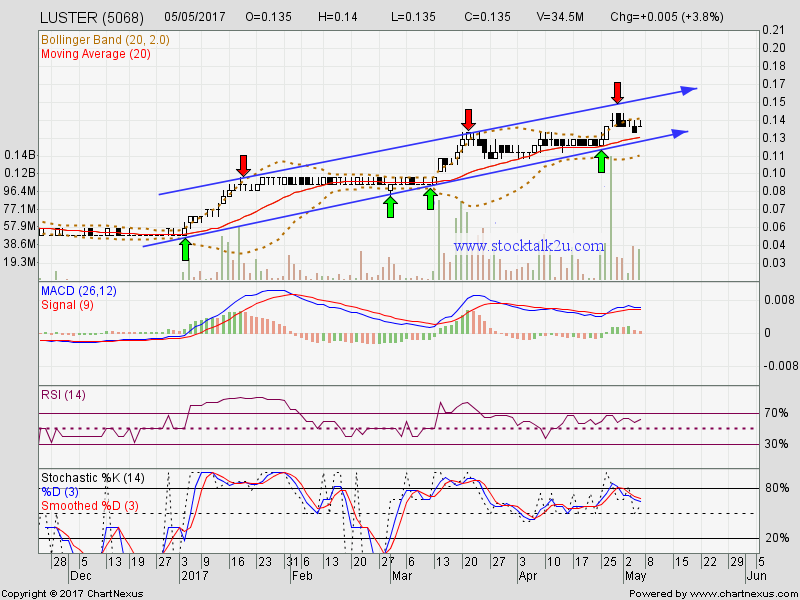 Subsequent suport @ RM0.115 level.